The film becomes the third highest weekend opener of 2018 by collecting 26.57 cr. For smashing box office collection, the makers do not need a star and this is being proved by Luv Ranjan’s new venture. Sonu ke Titu ki Sweety, not only struck the right chord amongst the youth, but it is attracting people from all walks of life. The film, Starring Kartik Aaryan, Nushrat Bharucha and Sunny Singh of ‘Pyaar Ka Punchnama 2’ fame, has turned out to be a huge earner at the box office. 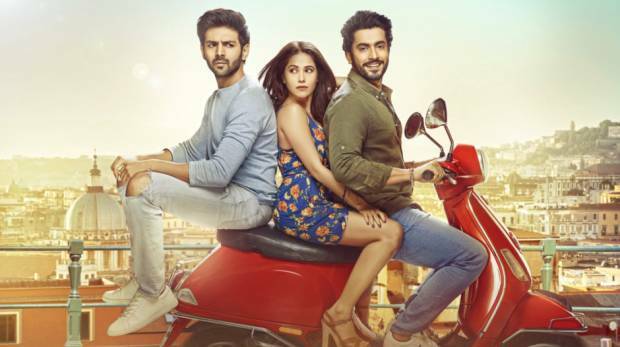 Sonu Ke Titu Ki Sweety, in its three-day collection, emerged as the third biggest opening weekend gross of 2018. And it spoilt the mood for the other releases of the last week, WELCOME TO NEW YORK. The film managed to concatenate its place with Padmaavat and PADMAN. The BROMANCE v/s ROMANCE caper, earned Rs 6.42 Crore on Friday, Rs 9.34 Crore on Saturday and Rs 10.81 Crores on Sunday, taking its total India box office collection to Rs 26.57 Crores.